United National Congress » Padarath: Is Golf The Agenda of Rowley’s “Energy” Meeting in Houston? Padarath: Is Golf The Agenda of Rowley’s “Energy” Meeting in Houston? Photp Courtesy: Office of the Parliament. 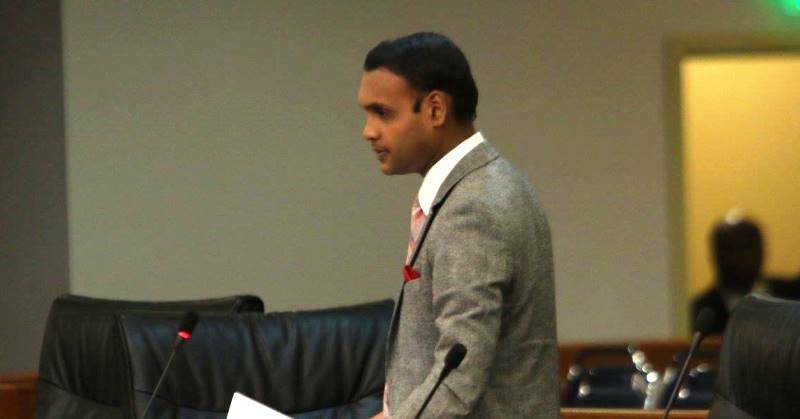 Princes Town MP Barry Padarath is calling on Prime Minister Dr. Keith Rowley to make public his itinerary of meetings during his trip to Houston, Texas. The Prime Minister announced that he would be visiting Houston , Texas from March 29th, 2017 with oil giant Shell but gave no details of who from Shell he would be meeting with and what would the discussions entail. The MP stated that he found the timing of the Prime Minister’s visit to Houston to meet with Shell “peculiarly coincidental” in that it was during the same week when Shell would be hosting its premiere Golf Pro tournament in Houston, Texas. The Shell Houston Open tees off this week on the Golf Club of Houston Tournament Course with an all-star, international player field that includes four of the top ten ranked players in the world. Padarath who noted that the Prime Minister has a particular affinity for the sport of Golf and is an avid player himself questioned whether Rowley was in Houston truly for his own personal enjoyment or whether he was using meetings with Shell as an excuse to be in Houston during the Golf tournament. The Princes Town MP has called on the Prime Minister to make full disclosure on his day to day schedule while in Houston, Texas since he is also concerned that the Acting Minister of Energy has not accompanied the Honourable Prime Minister to these “energy meetings” and now cast serious doubts on the legitimacy of these talks. Padarath further questioned who requested the dates for these meetings with Shell and whether tax payers funds was being used to finance the private jaunt of the Prime Minister under the guise of meetings with Shell. The MP indicated that if the Prime Minister and members of the government fail to make public the information that he requested he would use the avenues available to him via question time in the Parliament and the freedom of information act to get the answers.